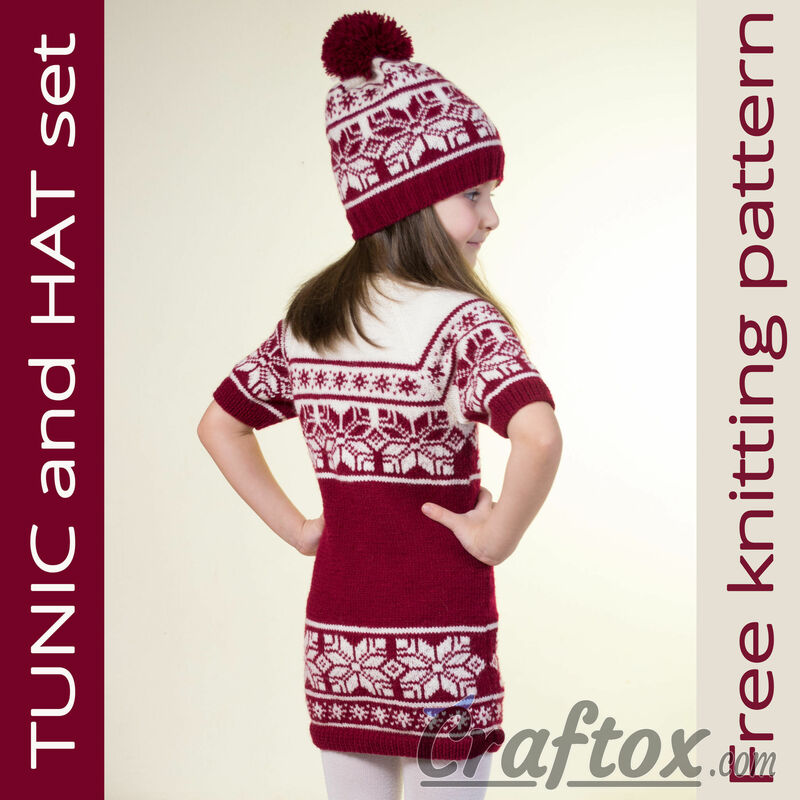 Tunic (dress) and hat set. 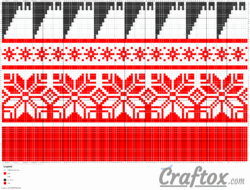 Free Jacquard knitting pattern. It’s the time to wear warm, comfortable knitwear. I offer you this wonderful warm tunic (dress, short sleeve) for a 5-6-year-old girl. It has been made in the Jacquard technique, of the yarn of two colours. Wearing such a tunic, your kid will feel very comfortably. This lovely hat, knitted in the same pattern and decorated with a pompom, matches the tunic. Your princess will surely like such a set, since Jacquard and Norwegian patterns are classics of the knitwear fashion. Tunic: for a 5-6-year-old. 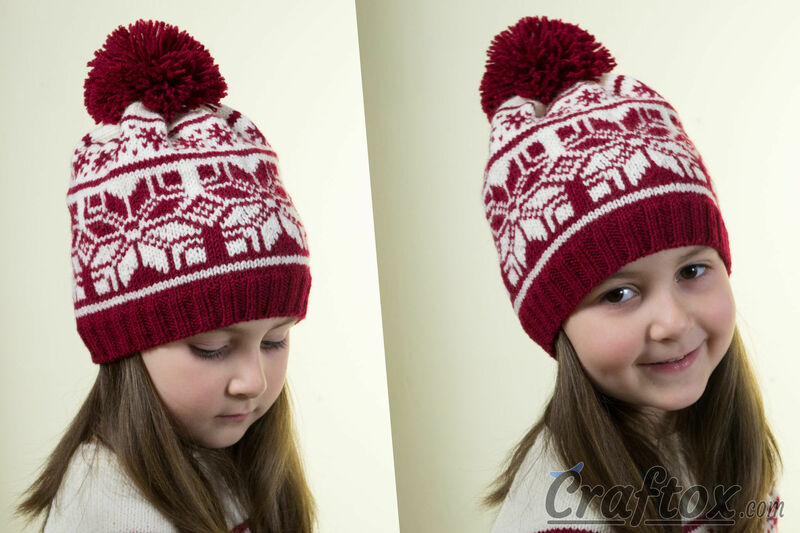 Hat: length of head circumference 50-52 cm. 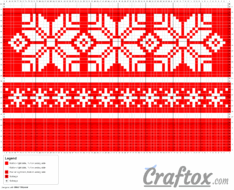 Rows 85-162: knit according to the chart №2. 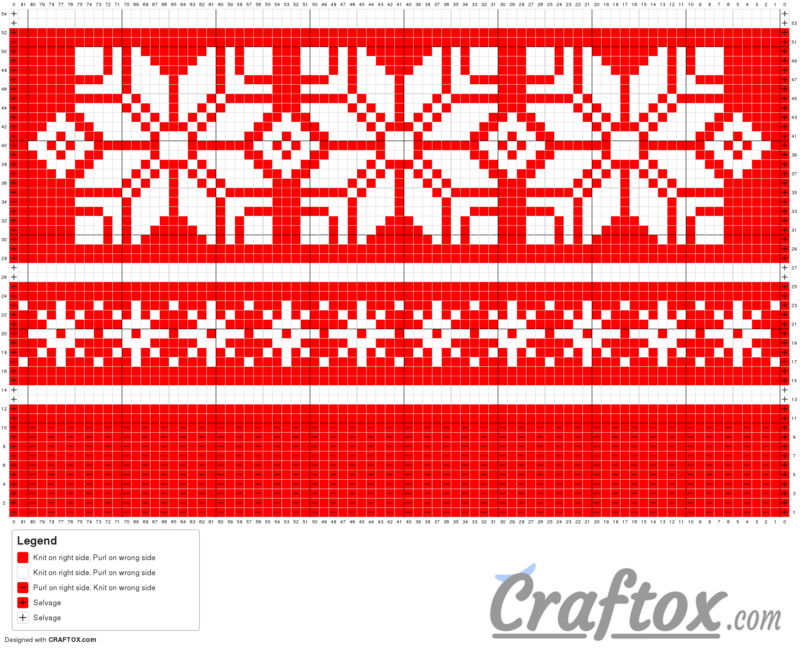 Rows 85-162: knit according to the chart №3. 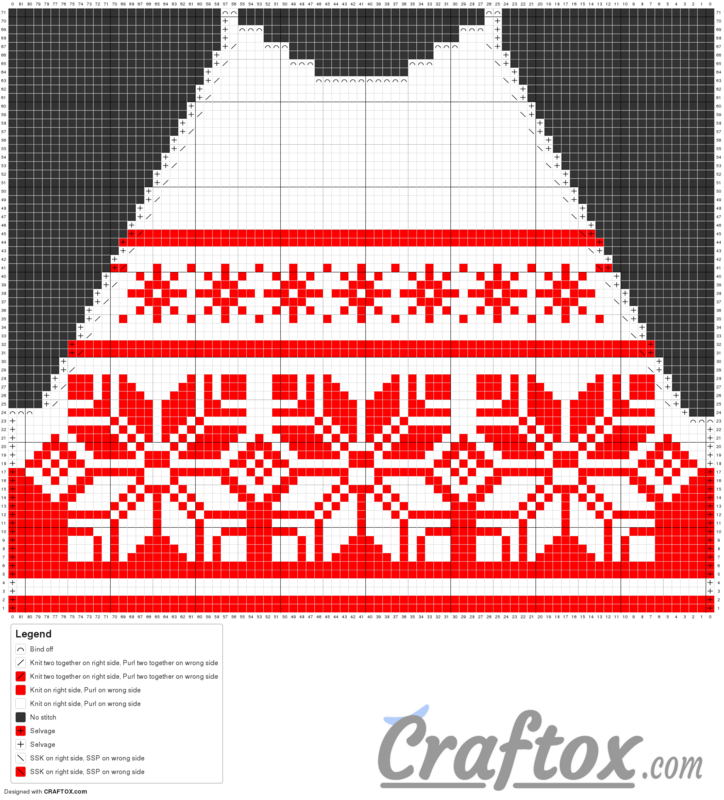 The sleeves knit according to the chart №4 and №5. Join sleeve seams, side seams and sew in the sleeves. With right side facing, using 2mm needles and white yarn, pick up and knit 90 sts. Next 6 rows: *1 knit, 1 purl; rep from * to end of row. 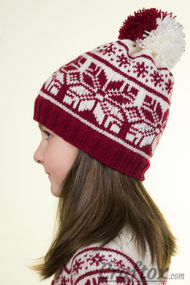 Beanie and dress set for a 5-6-year-old girl. 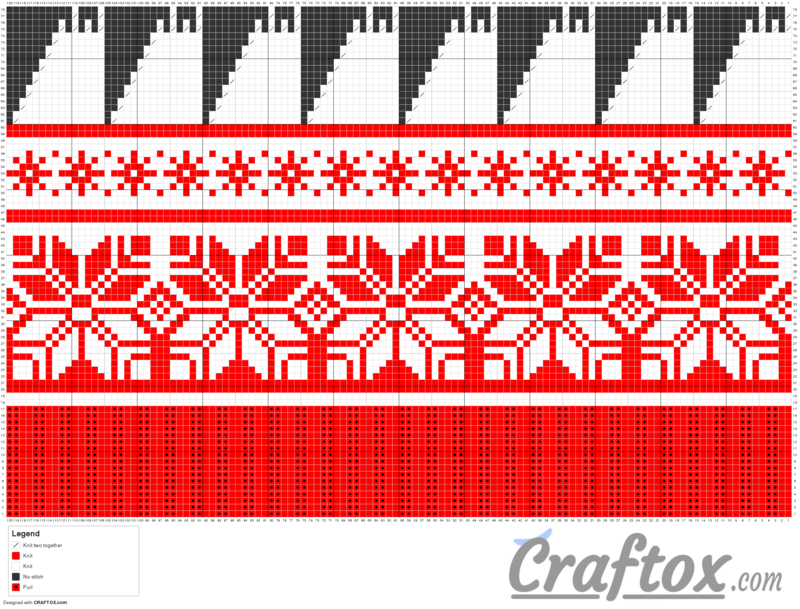 Free Jacquard knitting pattern. Pattern chart 1. Tunic (dress). Bottom. 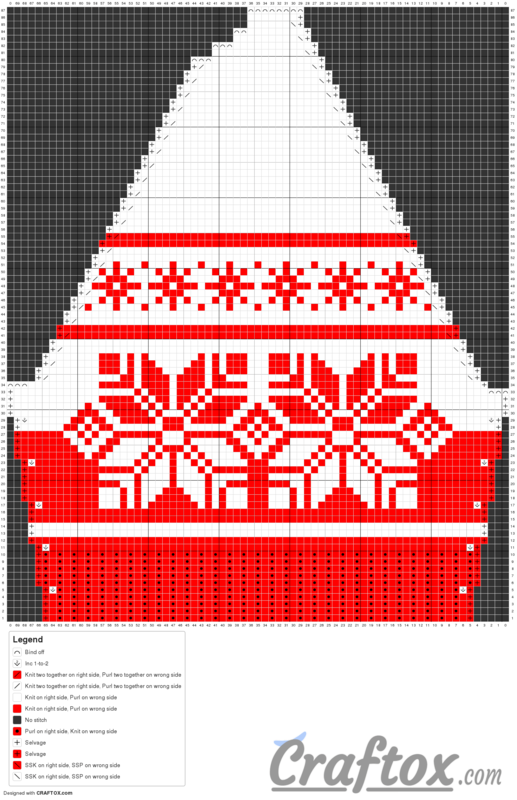 Pattern chart 2. Tunic (dress). Top back. Pattern chart 3. Tunic (dress). Top front. Pattern chart 4. Tunic (dress). Left sleeve. 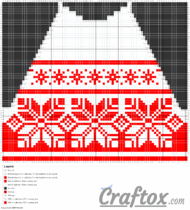 Pattern chart 5. Tunic (dress). Right sleeve. Pattern chart 6. Hat. 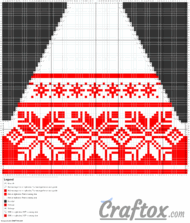 Free Jacquard knitting pattern.